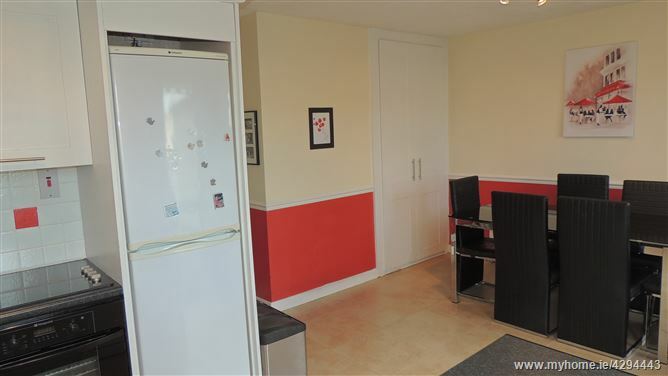 REA Forkin present to the market For Sale, this superb three-bedroom semi-detached family home! 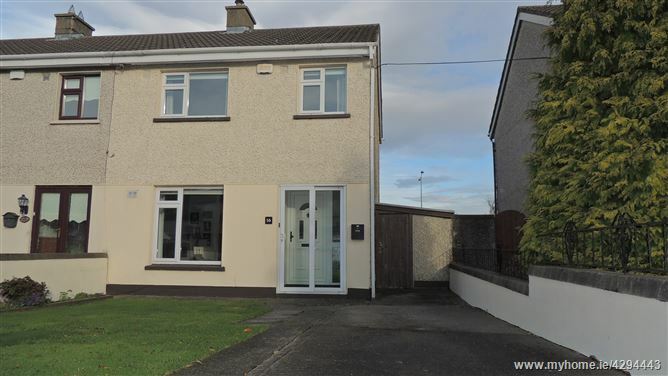 Located just outside Sandyford village, number 16 Kilcross Grove certainly has an enviable location. 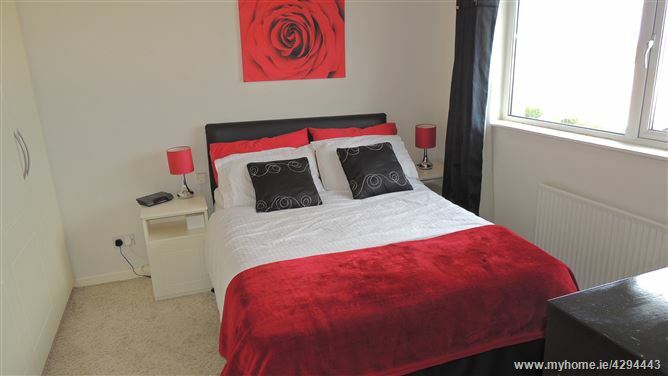 Just minutes’ drive to the M50, LUAS, Sandyford industrial park, Cherrywood, Dundrum shopping centre, a multitude of excellent schools, leisure facilities, supermarkets and restaurants. 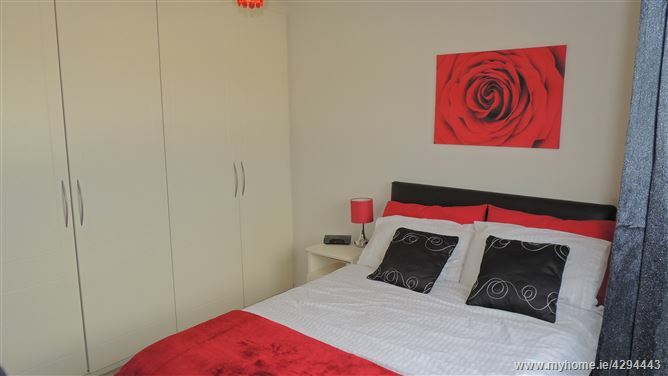 Those taken by the outdoors will be spoilt for choice, with Three Rock Mountain just a short drive away. 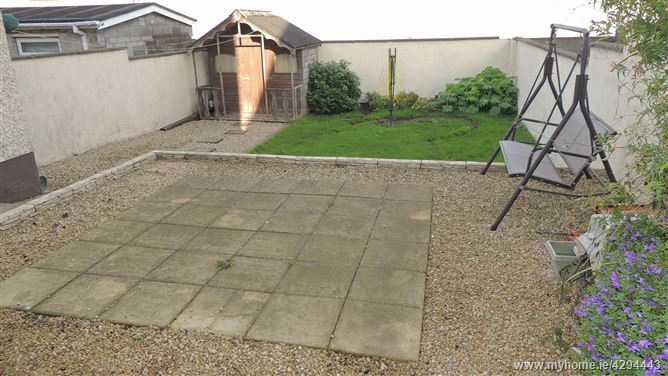 The property is situated on a quiet cul-de-sac in a mature development boasting ample green space. 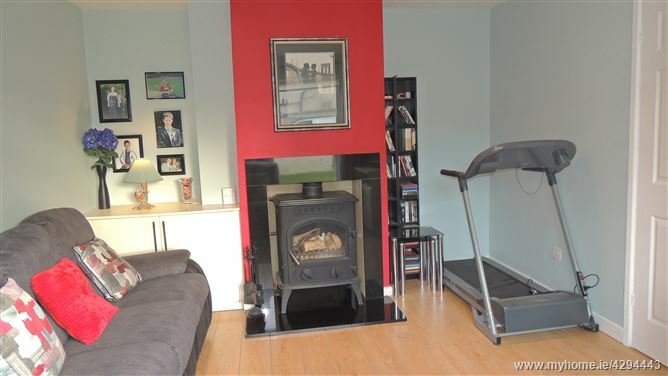 This house has bed lovingly maintained by its current owner and has undergone many upgrades and additions such as the wood-burning stove, clever built-in under stair storage and a recent internal wall insulation! 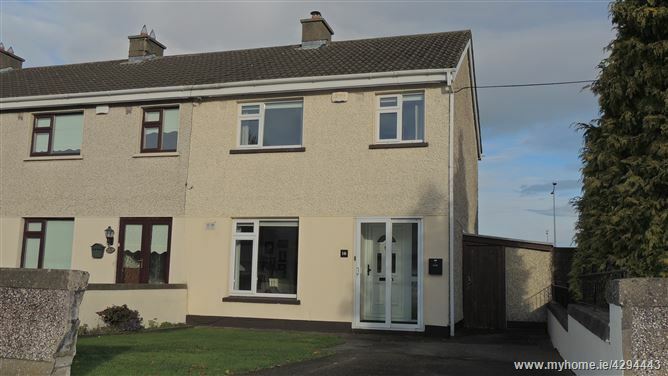 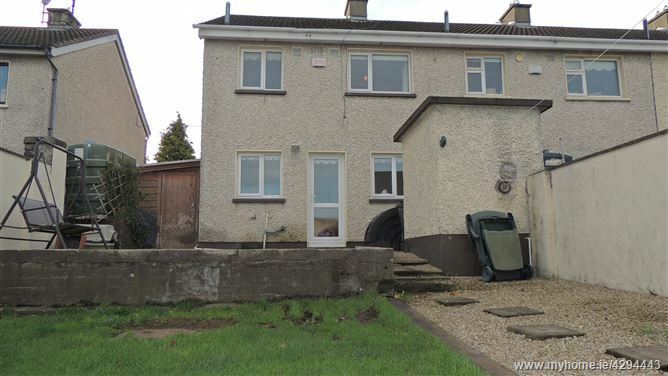 Briefly comprising of three bedrooms, two double rooms and one single, all with built-in wardrobes, main bathroom, Staire attic stairs, bright and cosy sitting room with wood burning stove, fitted kitchen with all modern conveniences, spacious rear gardens with patio area, shed and garden laid in lawn, side entrance with thru-way storage shed, front gardens laid in lawn and off-street parking for 2 cars. 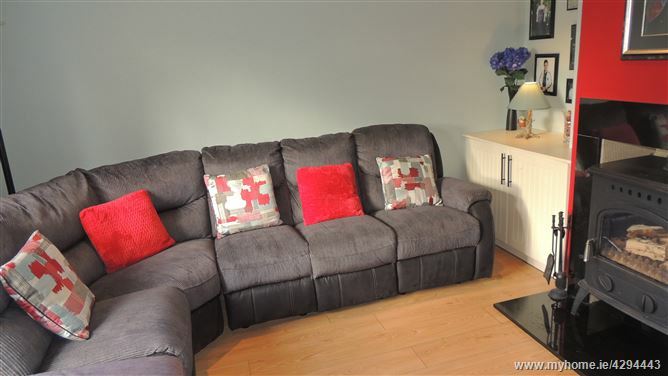 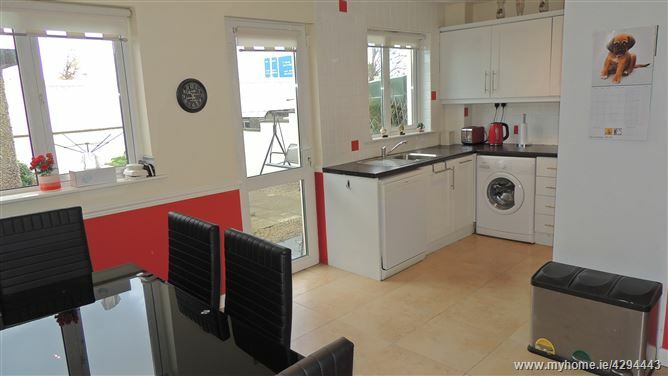 This property is in superb condition and the ideal first-time buyer home. 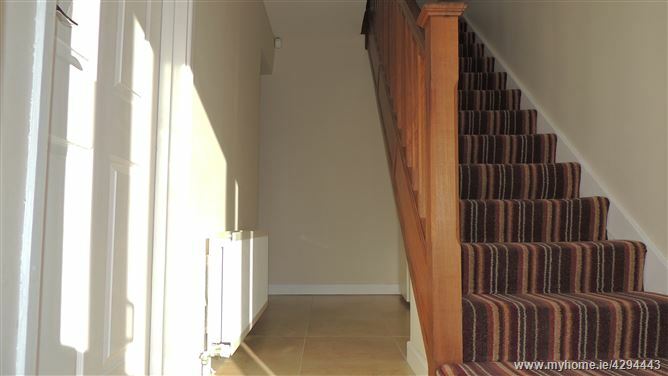 Tiled floor, built-in under-stair storage units, alarm system. 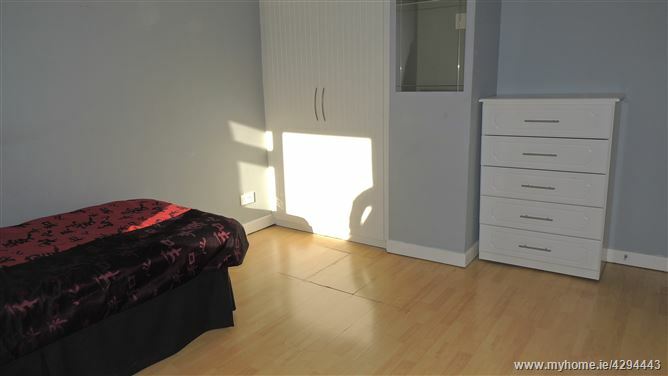 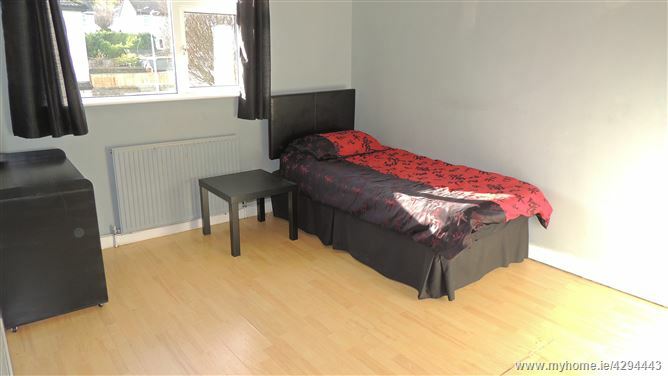 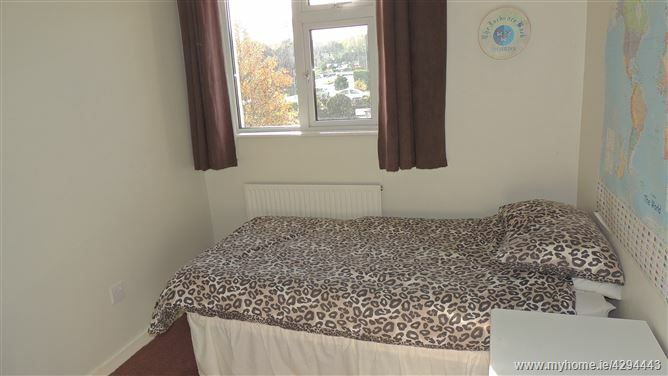 Quality laminate flooring, wood-burning stove, bespoke storage unit. 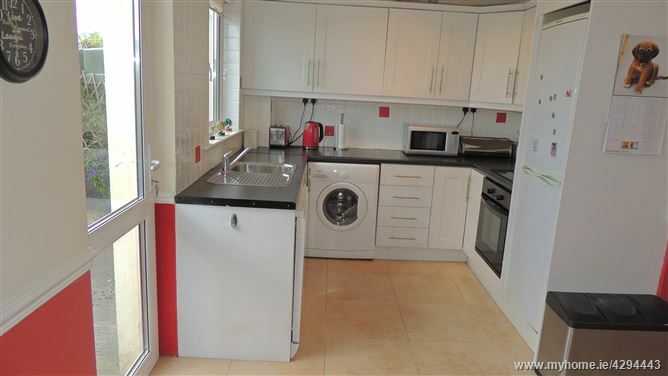 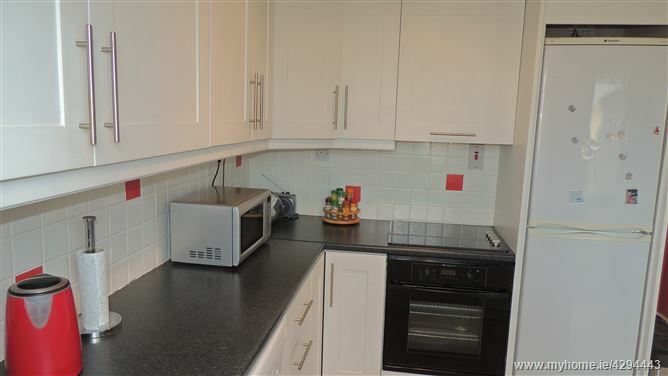 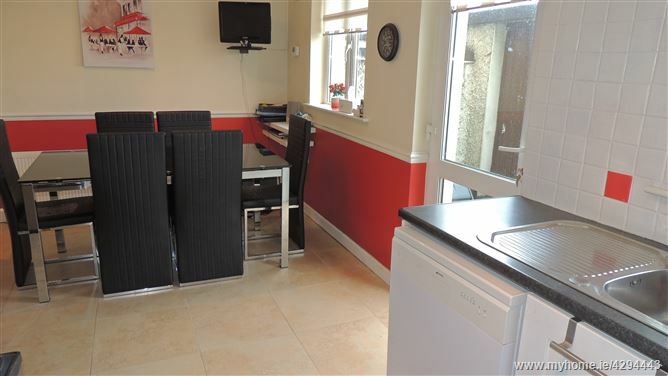 Tiled floor, fully fitted kitchen, larder press, door to patio and garden. 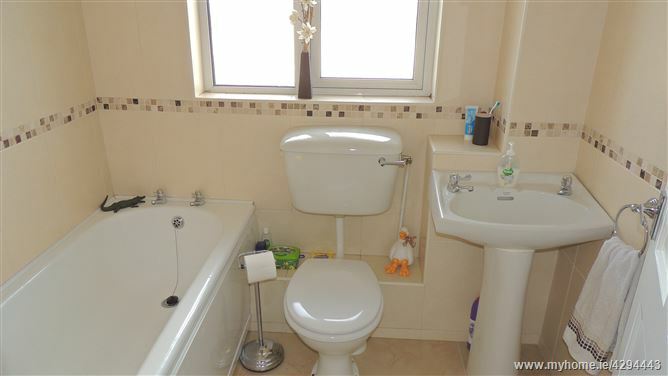 Fully tiled, pumped electric shower.